Giovanni Pinarello , the eight of twelve brothers, died yesterday in Treviso. He was born in Catena di Villorba in 1922. He was born at a time when life could be rather difficult, which was not uncommon, for many families ot the humble, and peasant backgrounds, in the rural farming areas of Veneto. The struggles of a simple farming life, as well as surviving the hardships of both World Wars, greatly effected an influenced the life of Giovanni Pinarello and his family. His impoverished and simple upbringing was not able to extinguish a passion Giovanni discovered he hard for the "Two Wheels". 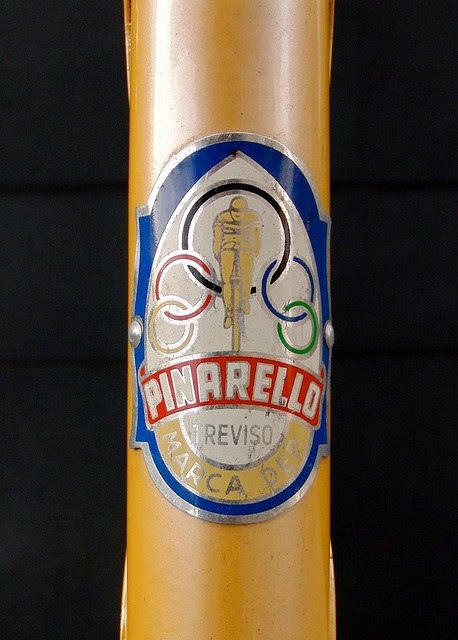 Another enormous boost to Pinarello's popularity came in the 1984 Olympics. A U.S. rider by the name of Alexi Grewal took home the gold medal on a Pinarello bicycle. Throughout the years the Pinarello victories continued, making it possible for many successful partnerships. One of these teams was Banesto, of which the Spanish champion Miguel Indurain was a team member, made the Pinarello the team bicycle. Cipollini has in fact, together with Indurain, have been a famous testimonial of Pinarello's advertising compaigns. More recently, the success of the current teams, particularly Telekom, Brescialat and Banesto, should be mentioned. Sad news. I only met him once when he fitted me for a bike in 1995. I could tell he was very passionate about the sport because while he was drawing up my order he got a call from the Worlds in Colombia; when they told him Indurain was in pain and not doing well, he slammed his fist on the desk. It was more than just a business to him.